25.52mm x 15.95mm / 1.005in. x 0.628in. 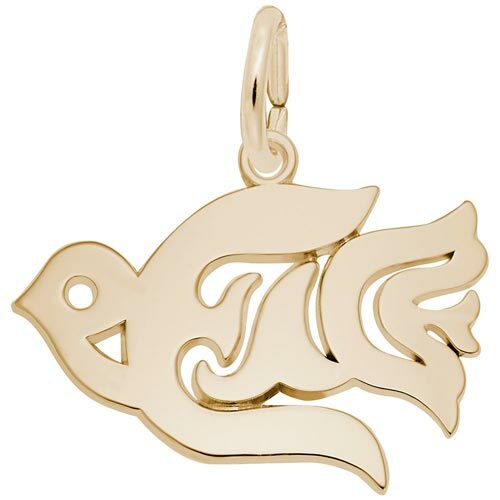 Peace Dove Charm by Rembrandt Charms. The width is 1 inch. Add a symbol of peace to your Classic Charm Bracelet with the Peace Dove Charm. This Dove is made up of the word peace for unique style. All dove will love this jewelry piece and it can be placed on a necklace as a pendant or will be a wonderful addition as a charm for a Charm Bracelet. All Rembrandt Charms are available in either silver or gold.